I have been blessed with two visits already to the Maldives, but with an average of 200 islands to explore, there is always something new to see. Coco Collection was created by four Maldvian brothers, who wanted to share their Maldivian hospitality with the rest of the world, so they invited us to review two of their resorts. Our first stop was Coco Palm Dhuni Kolhu, and to get there from the main airport in the Maldives, we had to take a sea plane. As we took off I looked to my left and there was a gigantic sea turtle popping his head up to say hi. I wasn’t quite sure whether I should have rescued it for being so close to our plane, or just enjoy mother nature welcoming us to the Maldives. 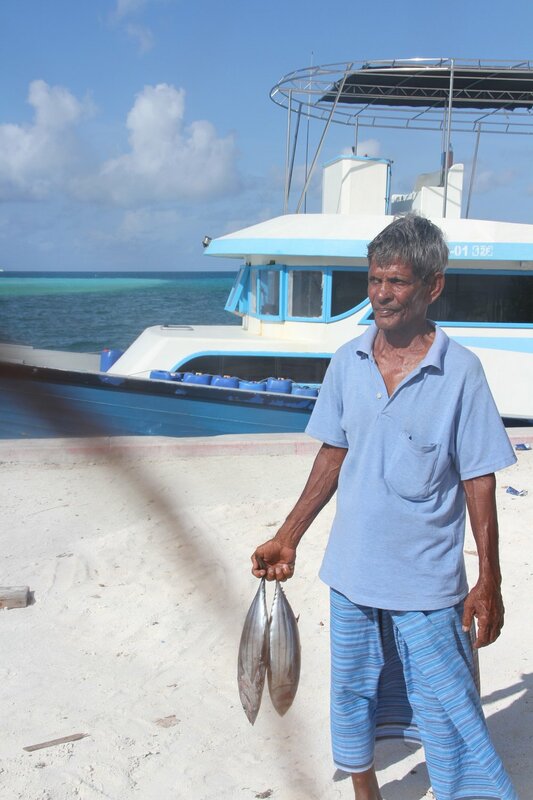 Forty minutes later we arrived at our resort, greeted by the Coco team and the resident manager Nasru. The first thing I wanted to do was jump in to the crystal blue indian ocean. So as soon as we checked in to our beach villa, I ran outside through the coconut tress and jumped straight in. It was like being baptized. I knew that this water was magical, and I wanted it to cure me of all the stresses of being human. Mmmm…maybe I should have gone to a mediation retreat instead. That will be next on my list. Meanwhile, back in the Maldives I was soaking in the salt water and sun. I wanted to press the pause button on my life right then and there. There was not a car, a motorcycle or even a bike in sight. Just a few traditional dhoni boats anchored around the jetty. I eventually came to realize there was in fact no type of transport on the resort, not even a buggy. So for those of you who have difficulty walking a lot, you may want to take that in to consideration. However the island is small enough to walk around very easily, and for three days I took full advantage of being in nature. I spent the whole time walking barefoot everywhere. In fact if you do your research, walking on the earth barefoot has many advantages for the body and nervous system, which most of us in the western world have totally forgotten about. It also saves a lot of money on shoes! Like most resorts in the Maldives there is a choice of staying in a beach villa or a water villa. We fortunately got to sample both. The beach villas all have their own access to the beach, and private sunbathing areas. 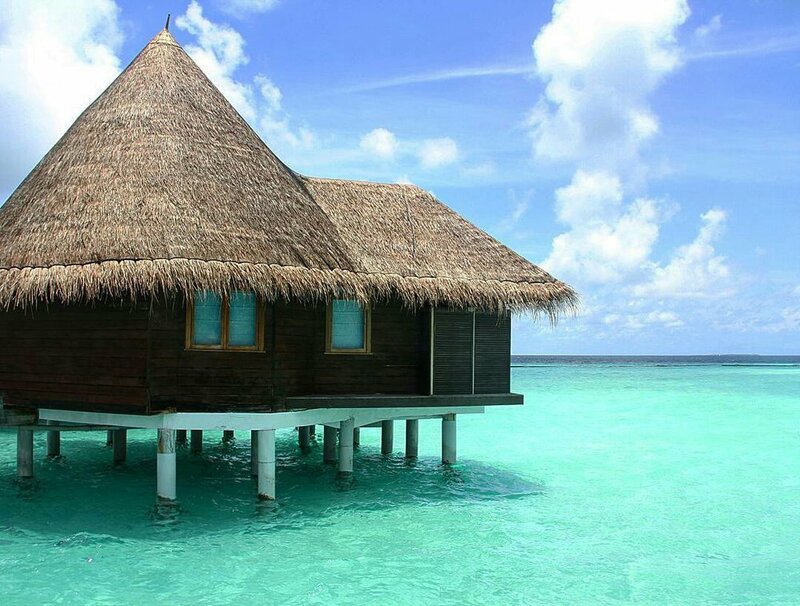 Whilst the water villas are positioned right in the middle of the ocean. Both have their own charm and ambiance. The resort has two bars, and two main dining areas. The Cowrie Restaurant is a huge dining room, with a Maldivian tent like roof that serves breakfast, lunch and dinner, and features live cooking stations. Whilst Cornus, offers speciality dishes including Maldivian, Thai, Indian and other Asian delicacies. The good thing about having just two restaurants was that the staff got to know you very quickly, and by the second day all the staff knew our names, and were asking how we were. The large lobby is where most of us would congregate to and have coffees and chats. Also that was the only main area that had wifi. Some of the other rooms do have it, however the lobby was the place we all preferred. It was a beautiful space, with books to read, a snooker table, a small shop, the turtle centre, and comfortable sofas. As some of the rooms weren’t equipped with wifi, it was in many ways a blessing to just have a break from constantly being online. Even though it has 98 villas, Coco Palm has a homely rustic charm to it and feels more like a secret island hideaway than a large resort. It offers the usual water sports, fishing trips and expeditions. However one of the best trips we took was to the local island of Thulhaadhoo. It’s only a 30 min boat ride away and as soon as we arrived we were greeted by one of the elderly residents who took us to a local house for tea. But we got lucky, because once the kids saw us arrive they all came in to the house and started singing for us. These local tours open your eyes to the two sides of the Maldives. One is what most of see online, the beautiful crystal waters and luxury honeymoon resorts, whereas the other side shows how the locals really live. And the contrast is blatant. Another excursion worth doing is Dolphin spotting. They literally respond to noise, cheers and clapping and swim right under and around the boat as soon as they hear you. The Coco Spa is placed in a quiet corner of the island, where you can experience various treatments as well as yoga classes. As soon as we arrived we booked a massage that day, and I can honestly say it was one of the best massages I have ever had. Coco Collection are very much focused on the environment, and the marine life. They are currently setting up a turtle rehab centre at Coco Palm, whilst working in conjunction with their other resorts. Overall my memories of Coco Palm Dhuni Kolhu are that of a raw rustic hidden gem, that has no need for glitz and glam. Its humble, honest and warm. It’s kind of like that USA TV show Cheers, where everyone knows your name.